Development Tools: Eclipse, NetBeans , JCreator. Operating Systems: Linux (Ubuntu, Debian, Red hat, Suse), Unix Aix, Windows. DBMS: MySQL, Oracle, PostgreSQL, DB2. 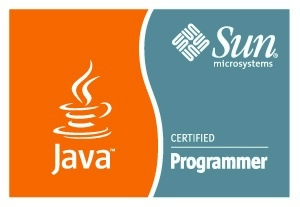 July 2010 Sun Certified Programmer for the Java 2 Platform, Standard Edition 6.0. February 2007 Certification Kofax Technical Solutions Specialist certified in Ascent Capture, Dicom Europe, Belgium. October 2005 Specialization certificate of developer C, Unix, SQL, Java, Milano - Italy. Application Server (JBoss, Tomcat, BEA WebLogic), Alfresco Web Content Management, UML Methodology, design pattern (MVC, DAO), JSF - Java Server Faces (MyFaces and Richfaces components), Struts, API Filenet, JUnit, Versioning: Tortoise SVN, Aegis, Logging Service: Log4J, Process Build: Ant, Maven 3. JBoss Clustering, JBossCache, JGroups (toolkit for reliable multicast communication), JGroups Configuration, JBossCache Configuration. Threads, Thread States and Transitions, Concurrent Access (Concurrent Access Problems and Synchronized Threads), Thread Priorities, Synchronizing Code, Synchronization and Locks, Thread Interaction, Deadlocked Threads. Object-oriented design, use case modeling, robustness analysis, Traditional Object-Oriented Design, Emergent Object-Oriented Design, TDD, BDD, Design Patterns, over design deep study, testing deep study, CRC Cards Methodology, Writing Clear and Maintainable Code, Agile Methods, eXtreme Programming, Continuos Integrator (Hudson), Refactoring, Collettive Code Owenership, Coding Standards, Pattern-directed refactorings, Agile Software Craftsmanship, Hibernate, Spring, Web Services (Axis 2), AJAX, secure coding techniques.Database schema design including normalisation, de-normalisation and query performance analysis. MySQL is a DBMS (DataBase Management System) open source relational. An RDBMS organizes data into tables, based on the relations between them. Tomcat is an open source web container developed by the Apache Software Foundation. Implements Servlet and JSP specifications from Sun Microsystems, thus providing a platform for running Web Application developed in Java language. Its distribution also includes the standard features of traditional web server, Apache, which correspond to the product. Tomcat is licensed under the Apache Software License, and is written entirely in Java, so it can be run on any platform, on which is installed with a JVM (Java Virtual Machine). Jboss is an open source application server that implements the full standard JEE. JBoss is written in Java, Application Server and is a platform that runs on any OS (operating system) that supports Java. Log4J is a logging service for debugging and testing applications. Ant is an Apache project, open source, Ant is a software to automate the build process. UML Unified Modelling Language is a modeling language whose characteristic is the Object Oriented paradigm, allows the description of object-oriented software design solutions. The UML allows the description of the application domain, the behavior and structure of an object-oriented software. Class Responsibility Collaboration Cards is an object-oriented software design methodology. In any "paper" is the name of the class, and either the names of the superclasses of the subclass, the responsibility of the class in question (what to do), the names of other classes with which the working class. The CRC cards have the advantage of being able to manage and reduce a complex software design. Design Pattern A design pattern is a general design solution to a recurring problem that can be defined as a practice model for the solution to a problem encountered in software development. A design pattern is related to design aspects of the software. The automated build process and allows regular intervals to check if the code changes they fail tests that were working, if the tests are successful is "tagged" version of the code. XProgramming is a discipline of software development is based on values ​​of simplicity, communication, feedback and courage.